Nutritionis more than counting calories; it's about making each calorie count. And dairy does it! builds and maintains strong bones and teeth. It also helps reduce your risk of fractures and osteoporosis later in life and plays a role in promoting normal blood pressure. works with calcium and vitamin D to keep your bones strong. It is also a key nutrient in helping your body use and store energy. helps build and maintain lean muscle. 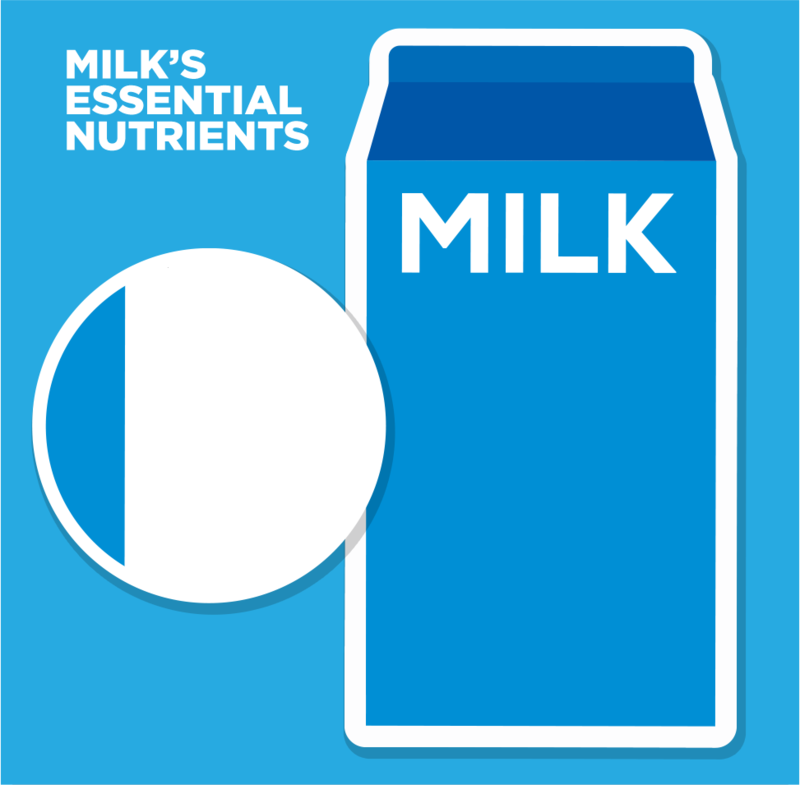 Dairy protein contains all the essential amino acids, which are the building blocks of life. is calcium’s primary partner in maintaining strong bones and teeth by helping your body absorb calcium. Vitamin D research is emerging and adequate intake is being linked to many other health benefits in the body. promotes healthy eyes, skin and immune system. helps build red blood cells and maintain the central nervous system. helps convert food into energy. It also plays a vital role in the development of the central nervous system. helps your body’s enzymes function normally by converting food into energy. helps your body use carbohydrates, fat and protein for fuel.